Sometimes doesn’t it seem that having a short work week makes the week seem longer? What black magic is this?! Luckily, I had a mid-week pick me up in the form of September’s Lip Addicts Anonymous subscription. Woo hoo! 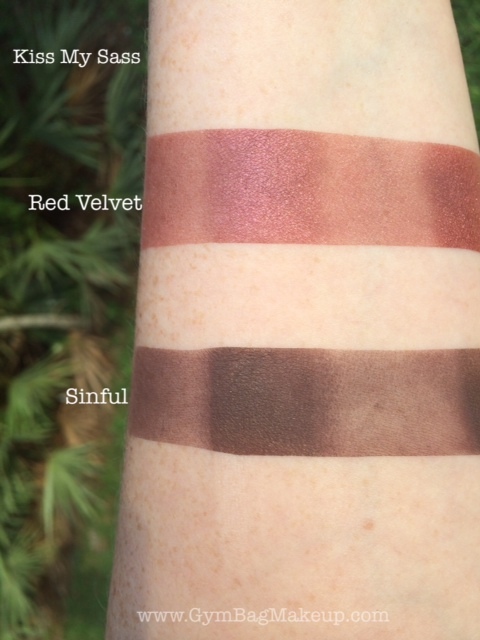 This month’s theme is Red Velvet! Red velvet isn’t my favorite cake in the world (actually I’m not much of a cake person in general. I DID work as a cake decorator for a while though but that’s a whole different story) just because it tends to be a little dry however, when I was a wee young thing, my mom used to allow me to bake pretty much any time I wanted to and I ALWAYS picked red velvet cake. There’s something so incredibly satisfying about dumping an entire bottle of food coloring into something. Sometimes it was a blue velvet cake with green frosting or a green velvet cake. It was a blast actually and I should try making one of these again. I do love me some cream cheese frosting. 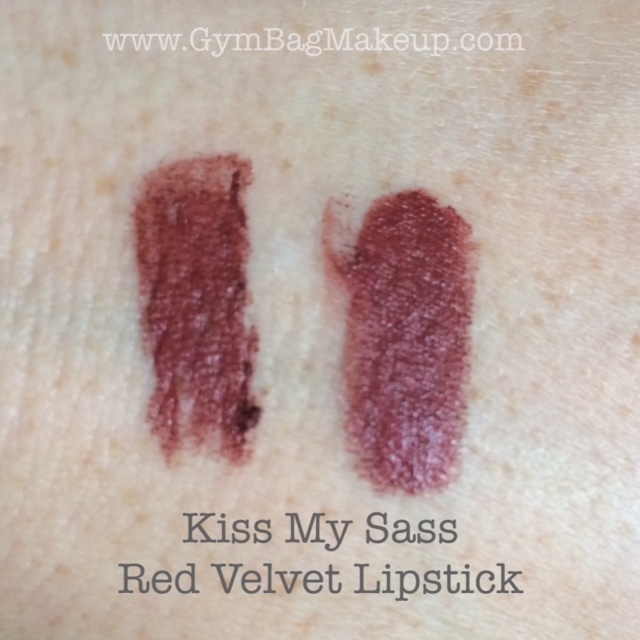 The lipstick is in a slim line format. The last couple of months, the full size lip product has been fairly sheer and fairly neutral so I’m glad that KMS mixed it up with a bold lip color. 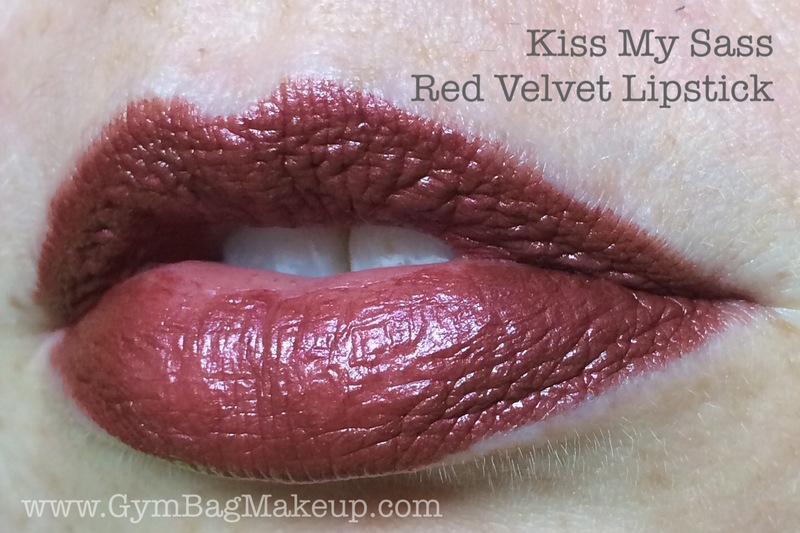 Red Velvet is a deep plumy red with an almost frosted/metallic finish. It’s quite pretty and relatively unique to my collection. I think this would still be a flattering color for a wide range of skin tones. It is scented like “frosted cupcake” although to me it smells like straight up graham crackers. I wore this for about an hour today while I was taking photos and I can say that it is comfortable on the lips but I suspect it won’t be a long wearing product. 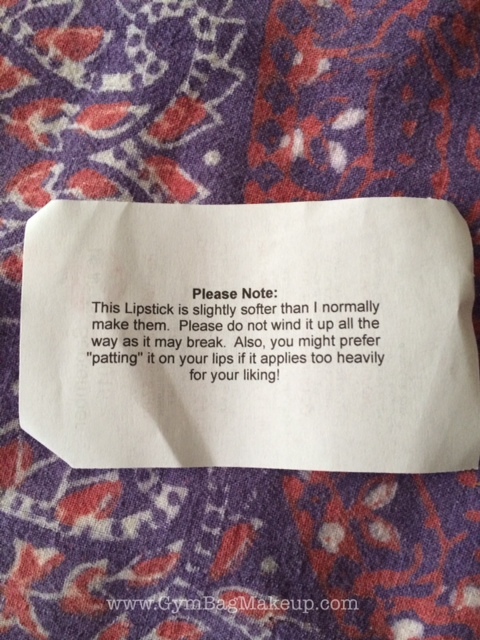 I’ll give it a solid day’s wear and report back in a Wear All The Lipstick post. 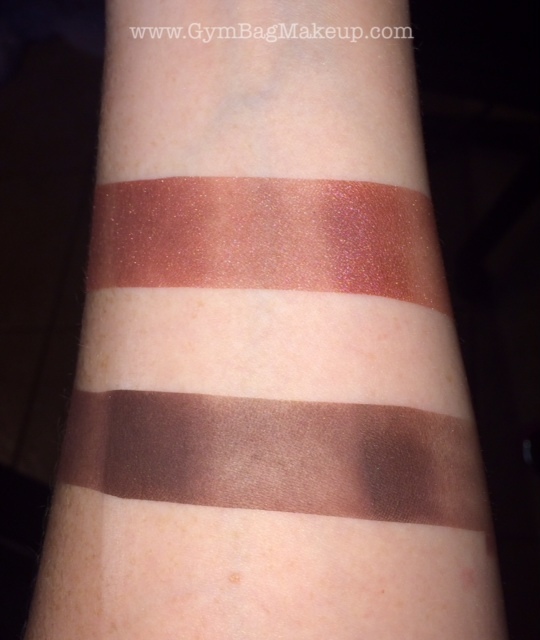 There is a strip of LORAC Behind The Scenes Eye Primer on the left side of the swatch and a strip of Darling Girl Glitter Glue on the right side of the swatch with the surrounding swatch segments over bare skin. That seems horribly confusing. Hopefully not. 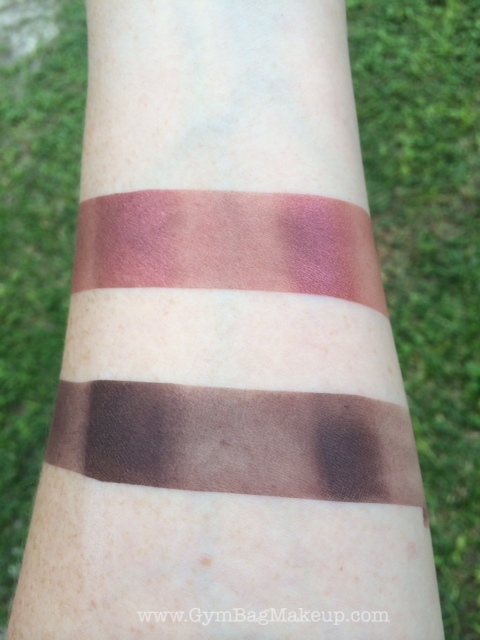 I can’t seem to find these shades on the KMS website so I’m going to hazard a guess and say that these shades are both exclusive to this month’s subscription. Elizabeth is really great about answering questions but I’ve already pestered her once today and don’t want to make a complete nuisance of myself. 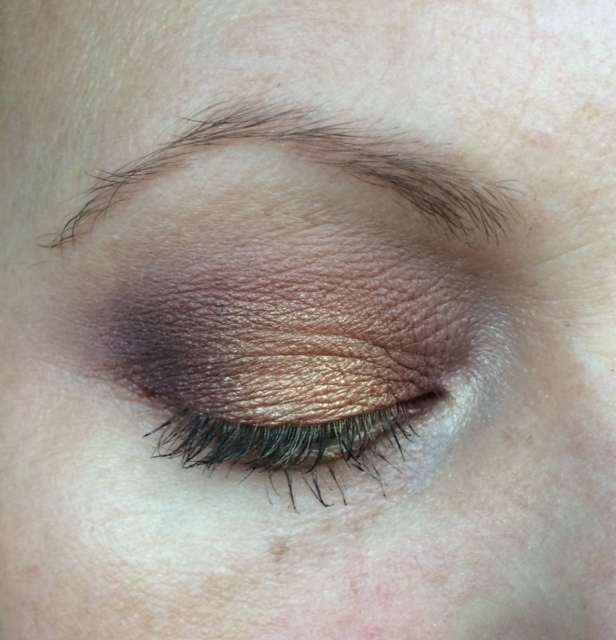 I’m really impressed with how nicely both of these eyeshadows applied over bare skin! 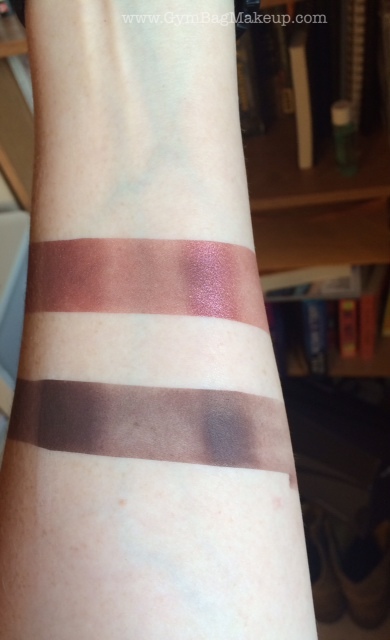 They’re obviously not as pigmented, but I didn’t build up the bare skin swatch at all, they just applied nicely to begin with. Cool! And rare for a loose eyeshadow! 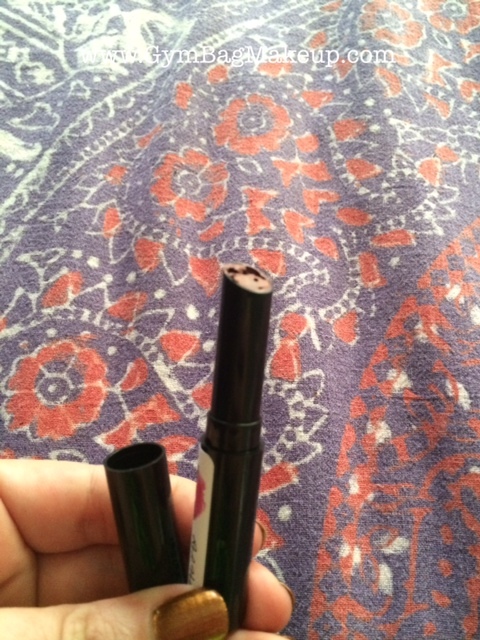 Jordana Continuous Almond Eyeshadow stick as a base. 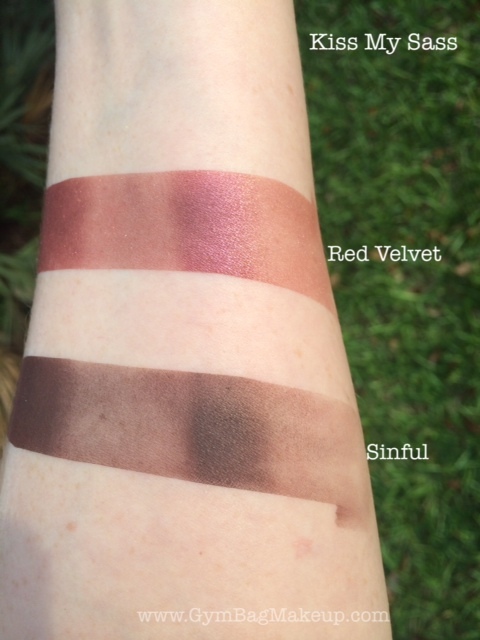 KMS Red Velvet on the outer and inner portion of the eyelid. KMS Sinful in the outer crease. Camp Cosmetics Gyspy on the center of the lid. 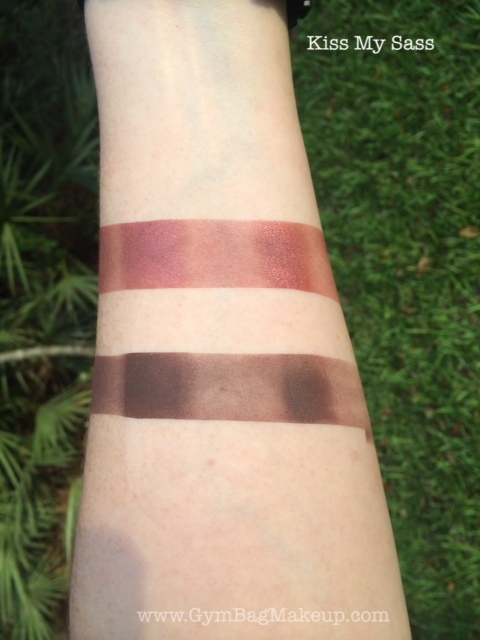 Hello Waffle Can’t Or Won’t as the blending shade and Yup! As the transition shade. MUFE Smokey Extravagant mascara. You guys! This perfume is delicious! 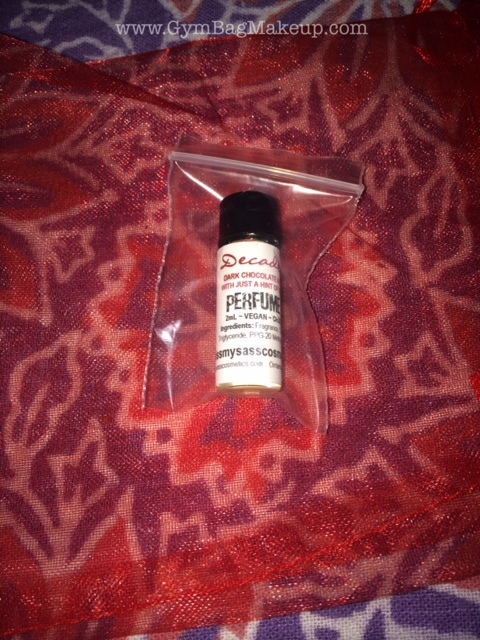 When you first sniff it and first apply it, it smells exactly like chocolate covered espresso beans! As it’s drying down I get more of the white chocolate scent and much less of the coffee scent. After it’s totally dried down, it smells sweet but fresh without being too light, I think that the patchouli keeps it grounded without actually smelling like patchouli. Basically I love this. I made The Boy smell my arm at least five times yesterday. It also lasted the majority of the day and I’m still getting very faint whiffs of it now, after 12 hours and a workout. 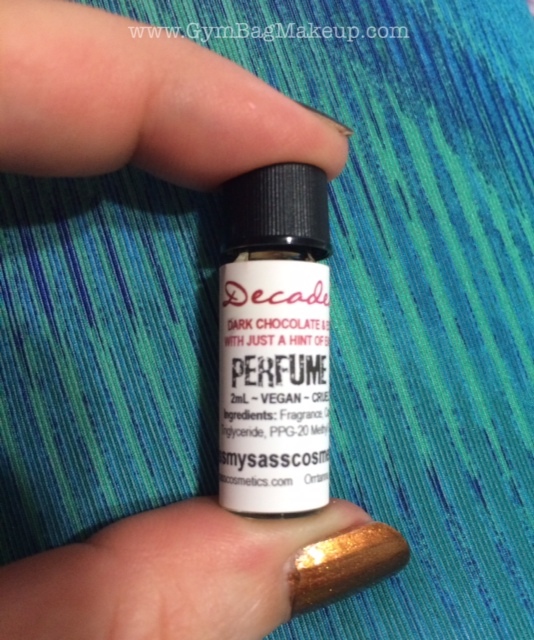 I emailed Elizabeth and she said that this scent was created exclusively for the subscription but that if enough people requested it she might possibly consider making it permanent. So go make a request yo! 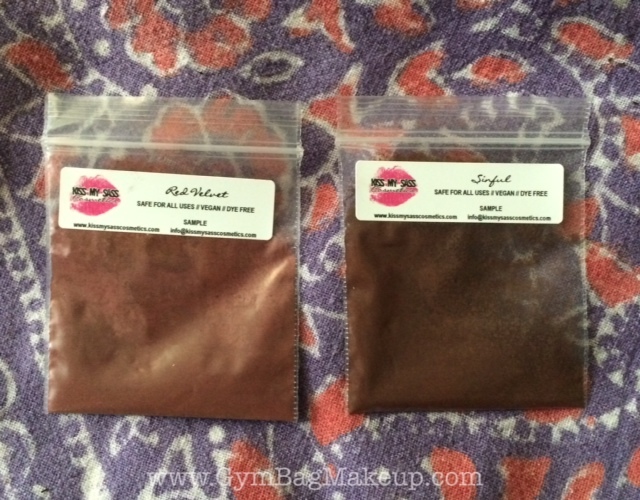 Because you know you want to smell like chocolate covered espresso beans! I know I do. There were also red velvet salt water taffy’s in the subscription but they didn’t survive very long. THEY WERE DELICIOUS AND I’M NOT SORRY! Enrollment for this subscription opens on the 2nd of each month. I think that there are still a few slots available for this month (there were a few hours ago anyway). Including shipping the LAA sub is $10.25 a month. It ships around the 4th and I received mine on the 8th (there was a holiday somewhere in there). I think I strained my brain doing bench press today. Seriously, at the time, I thought I was having some sort of aneurysm, it was horrible! I’m better now. But it was freaky! Aneurysm is a very difficult word for me to spell. Gray Cat tried to eat my new lipstick. What a jerk! I know right‽ a couple of months ago she had apple pie salt water taffy that was also awesome. Taffy has come a long way since my childhood. It WAS scary but nothing has come from it so hopefully it was some weird pinched nerve or something.